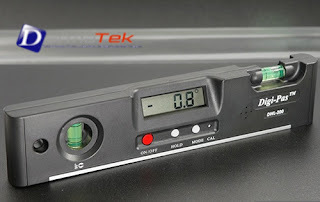 The DWL-200 is the Electronic version of conventional Torpedo Spirit Level. The elegant design is integrated with advanced sensor technology to fully equipped you to tackle any measuring and inspection site works. The software can intelligently detect when the user is not actively using the level and automatically turn off to preserve power thus extends battery life. Easy self calibration feature allows user to reset the digital level back to factory preset accuracy. Measuring range 0° ~ ± 90° 4 x 90° ( 360° ) .